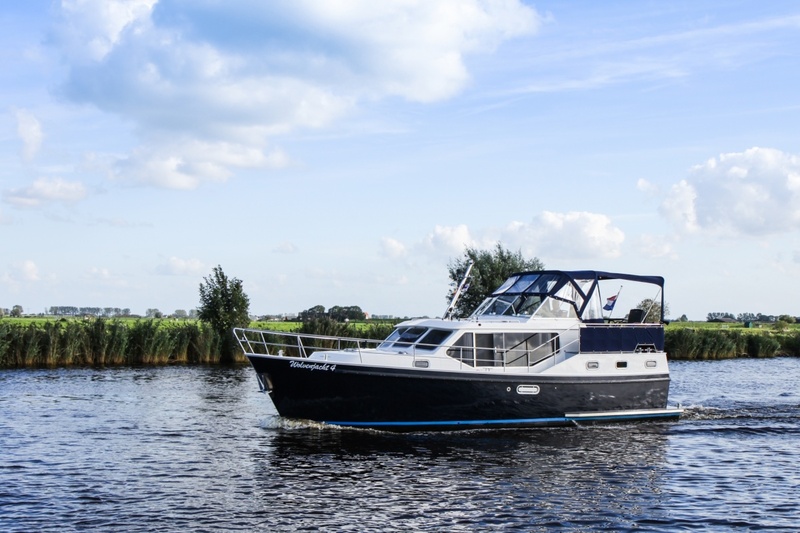 The Wolvenjacht 4 is a ship to celebrate your friendship. 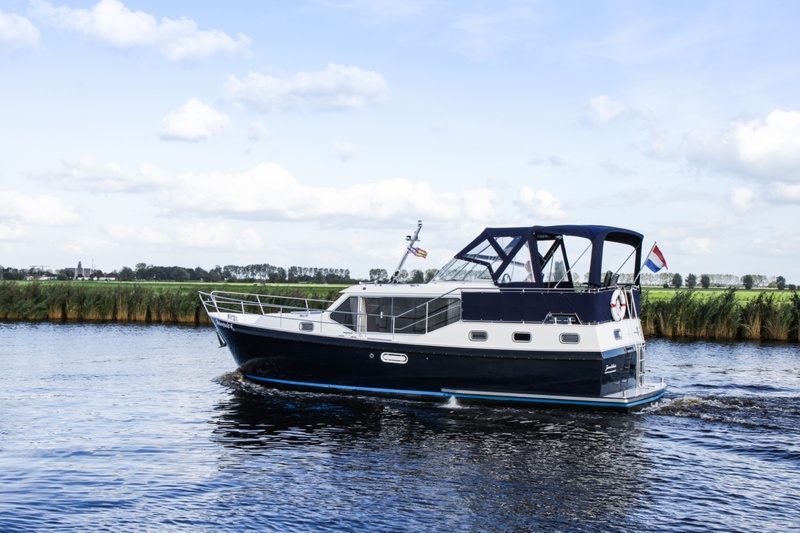 It has been built especially for four people who know each other well and want to experience a good time together on the water. 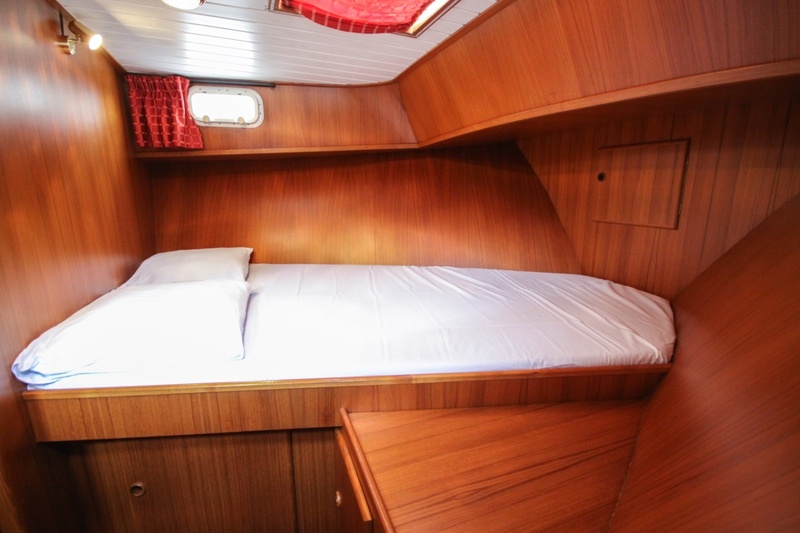 Both the living space in the middle of the ship and the deck offer comfortable possibilities to spend time together. 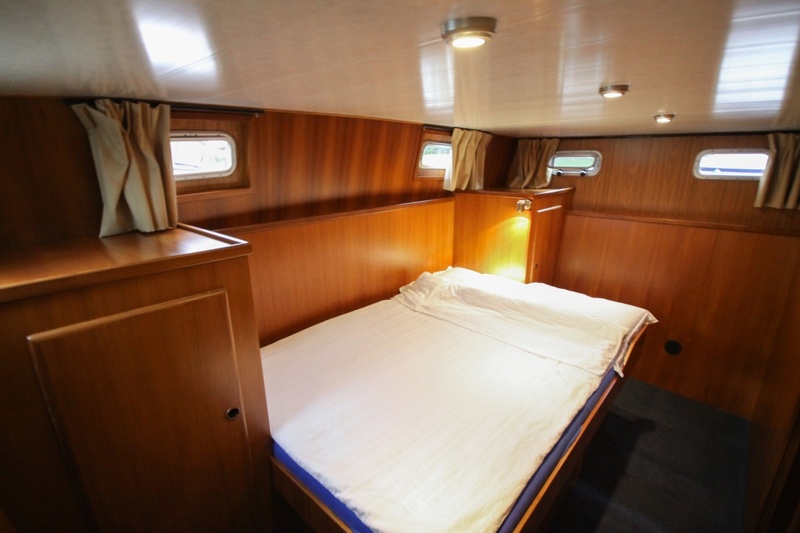 The Wolvenjacht 4 has two spacious bedrooms, both with a double bed. 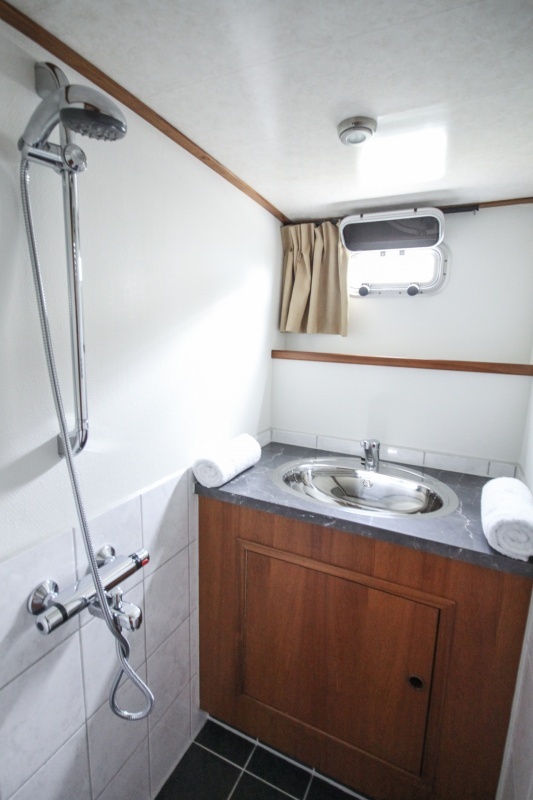 One is located in the front and the other at the back of the ship. 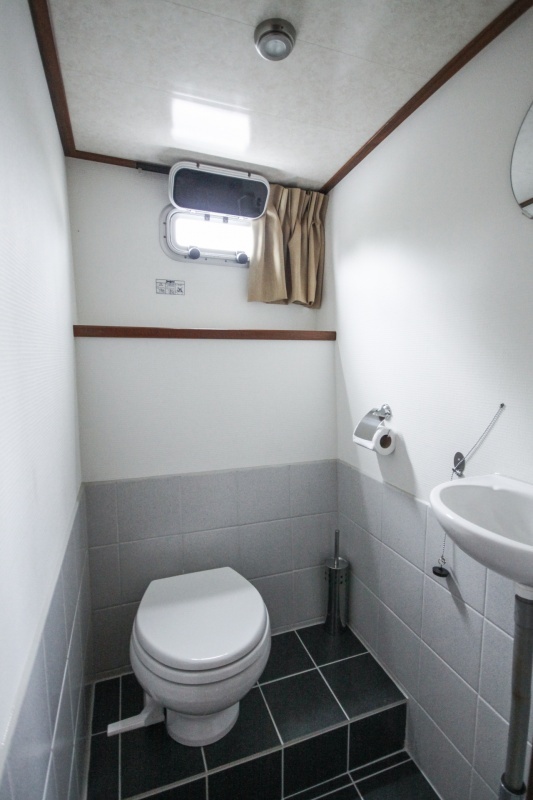 In the back there is a shower with large washbasin on the starboard side, the toilet with a small washbasin you will find right opposite the hallway. The spacious cozy lounge has a sitting area with large table. 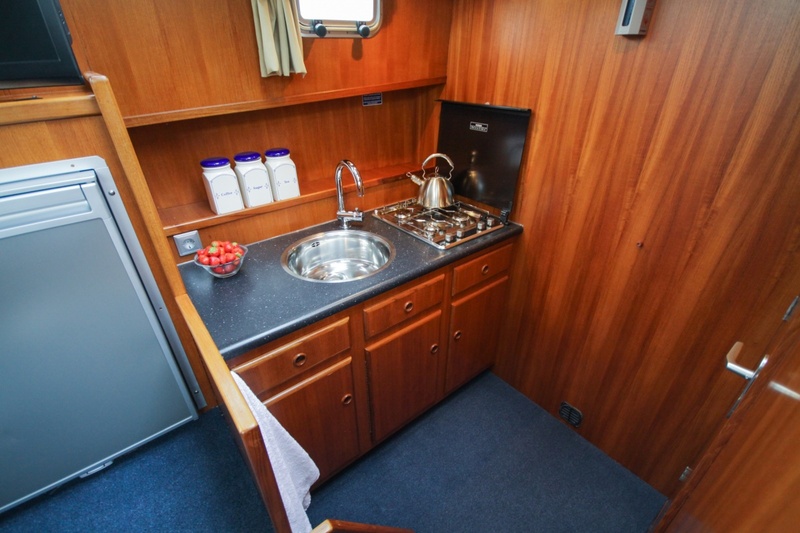 The kitchen is two steps lower next to the front bedroom. 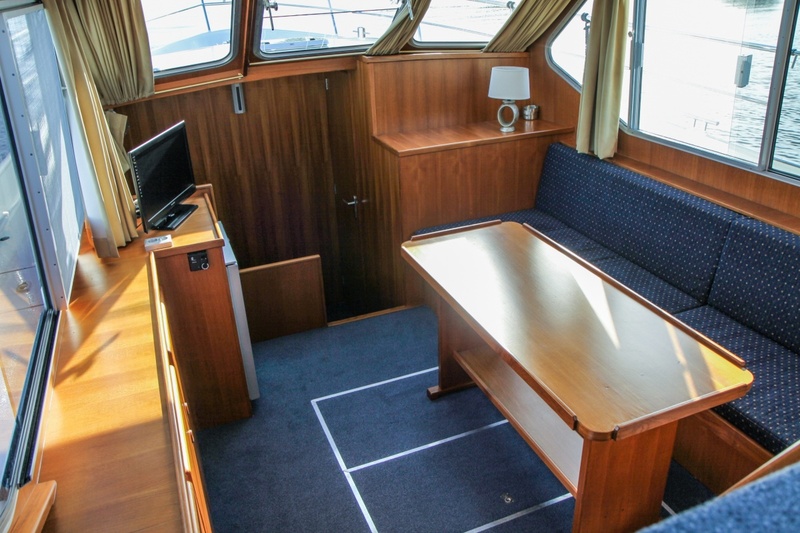 The steering position is on the spacious deck, where there is also room for four chairs and an outdoor table. 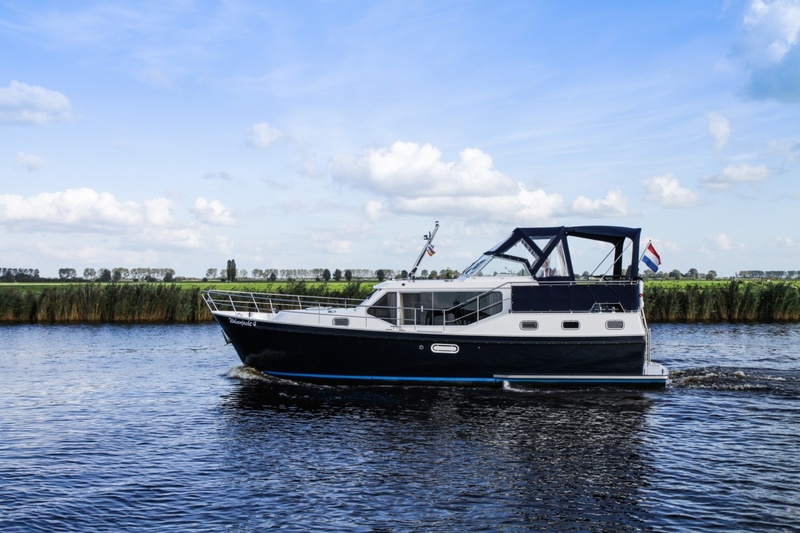 On the outer deck you can sit in the shade under the convertible top and canvas. Do you prefer the sun on your face? Then these are easily removed. The ship has a strong bow- and sternthruster to simplify maneuvering. 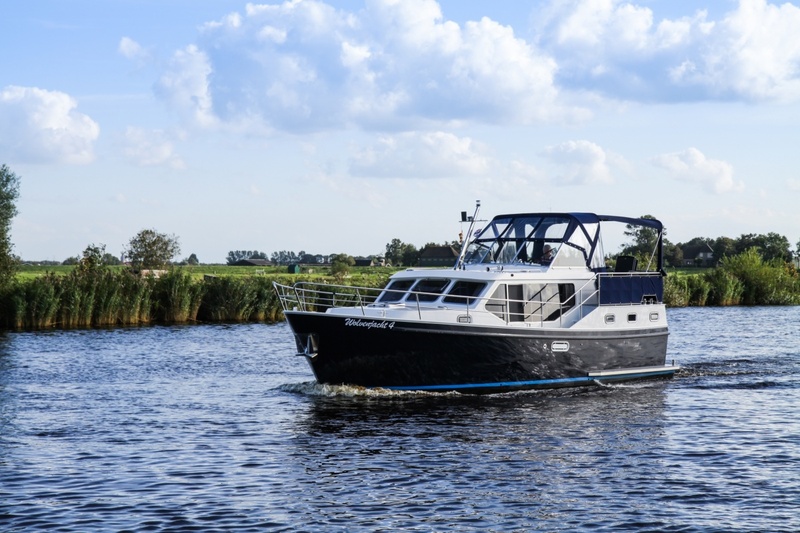 You will never get lost with the integrated navigation system. The 220 volt inverter (1200 Watt) provides power for the coffee maker, digital television, DVD player and the radio/CD player. 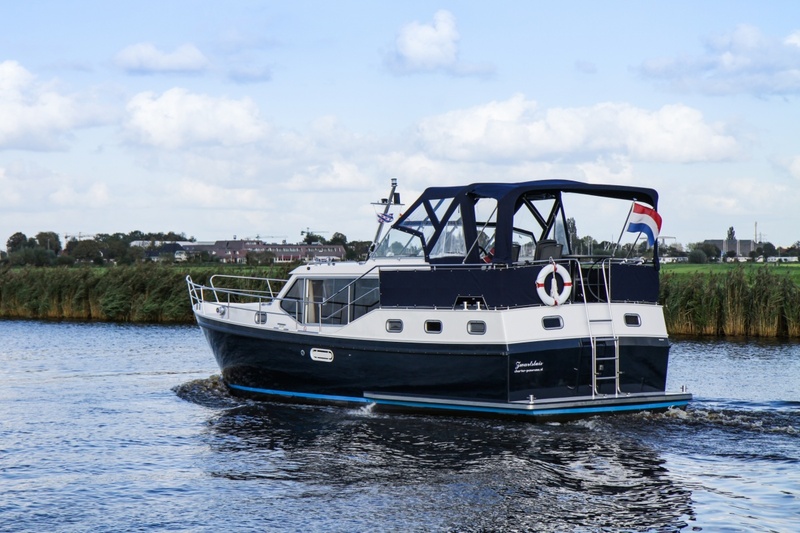 The Wolvenjacht 4 can be rented from Friday to Thursday, where you can board the ship on the Thursday from 6 pm and leave the harbour on Friday from 9 am. The next Thursday you have to return the ship before 1 pm.